Almost everyone uses Google search but not more than 30% go to the second page of the search results. So unless your website is on the very first page, it is barely visible. 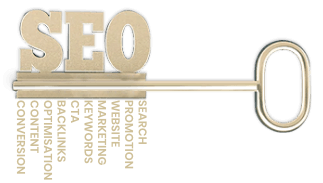 To ensure your business is found easily, avail our professional SEO services. As a reliable SEO company in India, we appoint the best minds in the industry to collaborate and fuel your business growth. Engage the top SEO agency to ensure an increase in the visitors’ count, customer engagement and conversion rates for your website. SEO is no longer a link-building process. Architecturally sound coding, faster loading speed of the pages, responsiveness of the website across devices, informative and coherent content, and popularity of the website on social media platforms are some of the determining factors for a website to rank higher on search engines. As a professional SEO services provider from India, we follow the latest SEO techniques that are not only customized as per your business requisites but have also been delivering authentic results for quite some time. Avail our guaranteed SEO services to position your business at the top and stay ahead of the curve. SEO Company In India – Zero Guesswork, Proven Strategies. “Good” is not enough for us. We strive for “Exceptional”. Our strategies are unique and we think out of the box to drive better results. That’s not because we choose to be different, but because we know the right way of doing things. With years of experience as an SEO company in India and having served many clients, we have formulated precise methods and fine tuned techniques that work exceptionally well. Discover the best by working with us. Our solutions have contemporary relevance for optimal effectiveness. Our solutions haven proven their effectiveness time and time again. Search Engine Optimization involves optimizing your website through different ways in order to improve its ranking on Google search results. It includes a variety of tools such as keywords, content, technical website elements – all of which need to be blended together to enable search engine to crawl and index the page. The more SEO-friendly a website is, the better its chances of getting listed within the top search results. Content is not only essential for providing information to visitors, but it can also help your website get a better rank within search engines. With the right mix of infomation and keywords, web content can help crawlers index your website better. Good content in external blogs and forums also helps in generating quality backlinks, thereby increasing the chances of getting better search rankings. What is the difference between white-hat and black-hat SEO? Black and white-hat SEO techniques primarily refer to the process employed to improve the search ranking of a website. While white-hat SEO depends on optimizing the website properly with valuable keywords, generating high quality backlinks among others, black-hat techniques include keyword stuffing in web content, link spamming, incorporating hidden links and texts, etc. Black-hat SEO techniques do not adhere to search engine rules and can hence have negative implications in the long run. White-hat techniques focus more on human interaction instead of search engines and thus are more future-proof in terms of search rankings. Both organic and paid search results are generated when a user sends a search query. The organic results refer to the webpage listings which are the closest to the user’s query as determined by the search engine through crawling and indexing innumerable websites. Paid results are basically advertisements which companies pay for to promote their businesses. Getting listed on the top in organic search results is what SEO is required for. How much time does it take to get SEO results? It is almost impossible to suggest exact timelines for SEO results as it depends on several factors. The nature of your business and the associated competition is a major deciding factor when it comes to search rankings. Moreover, if your website has coding issues or is not SEO friendly, it might further prolong the process. Establishing quality backlinks also takes time. Once all these issues are addressed, you will start seeing substantial results. Social media campaigns are trending and will continue to increase in popularity. This is a platform that makes company blogs, services, articles, products and any other information shareable. Social media sites are routinely crawled by search engine bots. Posting links on these platforms help the bots to discover and index new pages or blogs created by your company. Recently Google has partnered with Twitter to include any updates on Twitter into search engine results. Social media is a critical generator of inbound traffic for your website and is an integral part of SEO for Business Websites. Local SEO services is also referred to as local search. Local SEO makes use of tags such as city, state or zip code as a component of their search. An example of local SEO would be typing “sushi restaurant Atlanta” into the search box in Yahoo or Google. Brick and mortar stores can generate higher revenues this way if they optimise their business website for local searches. Local SEO is an effective tool for delivering search results for businesses. “Search engine results” pages or SERPs are dynamic. When other websites publish new pages with original and informative content and are optimised by an SEO company, they get discovered by search engines. This automatically pushes them ahead of your current web page in rankings. It is disconcerting to any owner to their website ranking fluctuate within search engine page results on different days. Old website pages that do not have any content updates or very few visitors over an extended period of time are penalised by search engines and can even get removed from search results. In the competitive world of online business where hundreds of websites aim at getting the attention of customers, businesses engage result driven SEO services to realize their goals. However, as any best conceived plan may go wrong, so can be your SEO strategy. You spend hours in brainstorming to strategize and finetune your SEO execution but when it is time to get the results, the rankings seem to go south.